A nail spa is now on the way for the Ballston Quarter development. 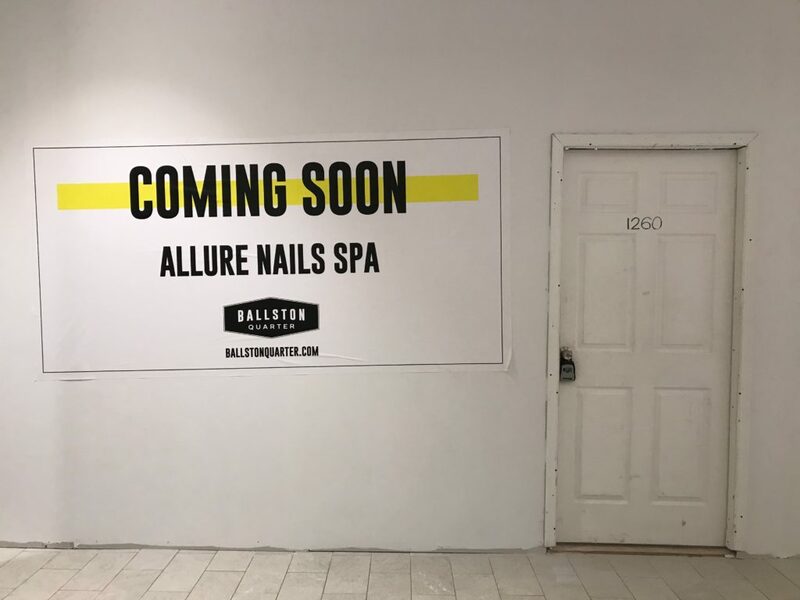 Allure Nails Spa will soon open its doors in the former Ballston Common mall, according to signs posted at the development and a listing on its website. The salon will sit next to the mall’s Chick-fil-A, which opened late last year, on the development’s first level. It’s also located across from the Curious Kids toy store. Still, several shops in Ballston Quarter have begun opening to customers over the last few months, though much of the development remains a work in progress. A newly revamped food court will open later this month, according to signs posted around the mall. The nail spa is also set to open a location in Reston in the coming years, though that development has gone through a few changes recently.